Eutrophication of the Baltic Sea would be substantially reduced if we ate less protein, especially meat. According to a report from the Marine Environmental Research Institute presented today. SWEDEN – The link may not be entirely obvious, but the fact is that the more meat, fish, eggs and other high-protein food we eat – the greater the emissions of nitrogen and phosphorus in the sea. Precisely the nutrients in combination with heat causing the explosive growth of blue-green algae cyanobacteria. Anyone who tried to go swimming in the wrong places has seen how they literally turn the water into slurry. Eventually the bacteria sink to the bottom where they decompose and consume oxygen and cause dead zones, says Anders Grimwall, researchers at the Marine Environment Laboratory. The leakage of nutrients nitrogen and phosphorus are caused both by the plowing of the land and fertilization of the plants then become food for cows, sheep, pigs, chickens and even people. In addition, a great deal from both animal and human as sewage waste, because treatment plants are unable to clean everything. 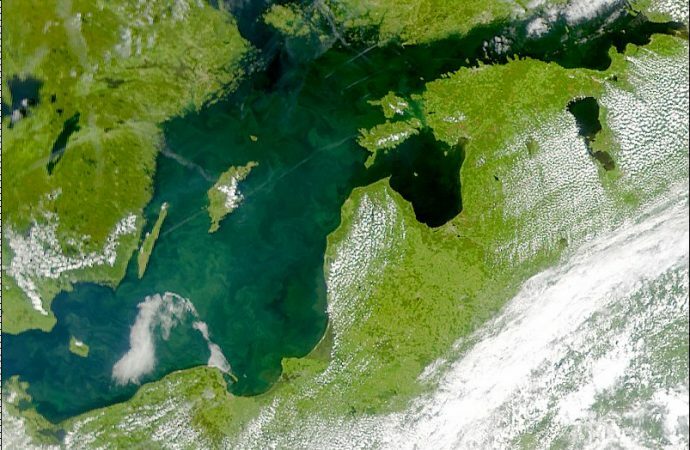 The Baltic Sea is particularly vulnerable because it receives wastewater from more than 80 million people, while it is relatively small and its water is not exchanged frequently. In addition, intensive farming is conducted around many of the rivers that flow into the Baltic Sea. Research report from the Marine Environmental Research Institute shows that a reduction in the consumption of high-quality protein, from 80 to 60 grams per person per day, almost would halve the load at sea of the phosphorus by 40% and nitrogen by 50 per cent. The change would mean that the Sweden margin could reduce phosphorus emissions by 400 tonnes by 2021. Something that we promised other countries around the Baltic Sea at the Helsinki Convention, says Anders Grimvall. But is it enough that the Swedes eat less protein in order to improve the environment in the Baltic Sea? In tonnage terms, emissions from Poland are the largest. The country has 40 million inhabitants active in comprehensive agriculture. However, Swedish coastal waters are affected mainly by local emissions. So in many places, one would notice that the aquatic environment was improved if Swedish protein consumption decreased, even if that’s not enough to stop the eutrophication of the Baltic Sea as a whole. The calculation is based on the constructed wetlands and limestone ditches next to the fields to take up the nutrients from agriculture emission. In addition to the croplands which are released when the protein production decreases, is to grow perennial crops that require less fertilizer and plowing. And the fact is that Swedes could cut down on the eating of meat, fish, eggs and cheese a lot, but that would be a disaster for them. Since 1970, Swedes’ consumption of animal protein increased by 55 percent. Today, on average a Swede consumes 108 grams of protein per day (nearly a third come from grain products such as bread and pasta), while the body’s nutritional needs, according to WHO, is only 58 grams per day for a person weighing 70 kilograms. Researchers have also examined how the marine environment would be affected if the Swedes would change diet. The conclusion is that lamb and beef and veal followed by pork causes the largest emissions. At the same time that chicken, eggs, dairy products, and protein-rich plants like beans and peas causes equivalent and slightly less emissions. One thing that was surprising is that full vegetarian diet or called a climate-friendly diet, where beef and pork is replaced with chicken, for example, do not significantly reduce eutrophication. This is because it takes a lot of land to grow beans and peas and nutrients per gram of protein therefore food spill per gram of protein becomes large. Anders Grimvall said they were actually a bit surprised that the differences were so small. It is clearly important to reduce emissions is to reduce our total intake of protein. Another conclusion is certain food additives bear huge debt to eutrophication. If one abandons these additives they would reduce phosphorus discharges in the sea by 60 tons a year, says Anders Grimwall. 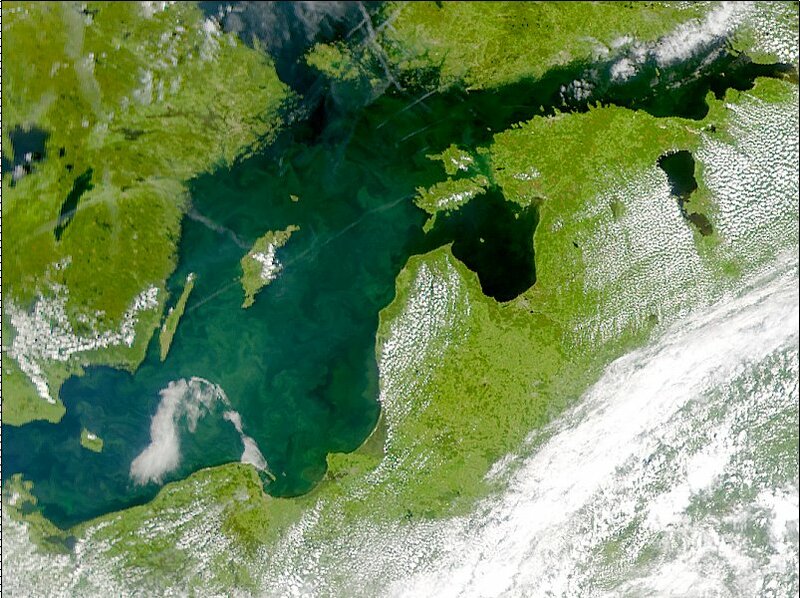 Baltic Sea was originally a relatively nutrient-poor seas. During the 1900s, the population has multiplied, intensified food production and the influx of nutrients from agriculture, sewage from households and boat traffic increased significantly. Eutrophication, which is considered by far the most pressing environmental threat, causing excessive growth of phytoplankton, filamentous algae and bacteria in the water. As they die and sink to the bottom consumed the oxygen in the decomposition process. Larger animals and organisms flee from the area and the seabed “die”. 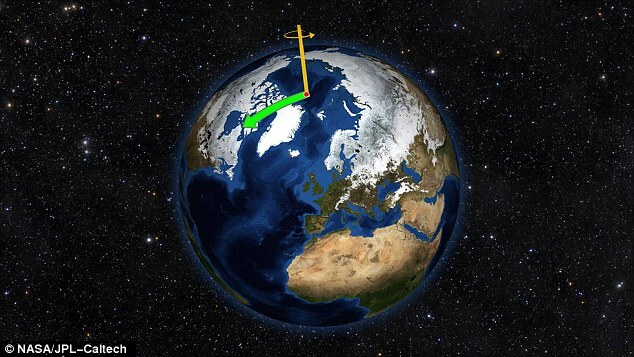 It is estimated that more than 60,000 square kilometers of the Baltic seabed is dead. It is almost 15 percent of the surface and ten times more than in 1900. Eutrophication is a transnational problem. According to a joint action plan for the Baltic Sea environment, BSAP, the inland sea in good ecological status by 2021, a job that requires both national and international efforts.